Image requiremnts: png, jpg, 2000 px.2000 px. Start typing, your engraving will show here! Leaving a review? Write some helpful notes about the engraving and service you received. All shipping services for single bottles are provided by Royal Mail. More than 3 bottles by Parcelforce. You will receive a tracking number once your order has been dispatched. Next business day delivery when ordered before 4pm. On schedule 95% of the time. Not guaranteed.Includes Saturday delivery. Tracked, signed & SMS updates. Next business day when ordered before 4pmTracked, signed & SMS updates.We recommend this method for urgent occasions. If your item doesn't arrive on time we will refund the shipping difference. You may be asked to verify your age during the order or delivery process. Please be ready to show acceptable forms of identification for proof of age. The identification must show a photograph, date of birth and either a holographic mark or ultraviolet feature. Such as a driving license, passport, military ID card, national identity card or a proof of age card with the PASS hologram. 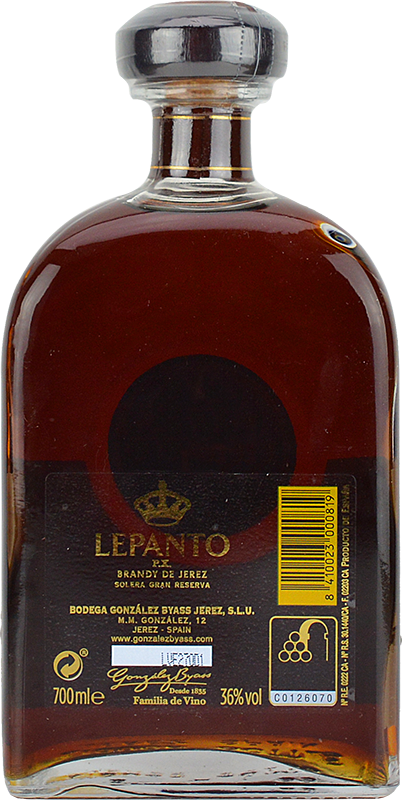 Personalised Lepanto Solera Gran Reserva Brandy de Jerez Pedro Ximenez Cask Matured Brandy creates a perfect, memorable gift. 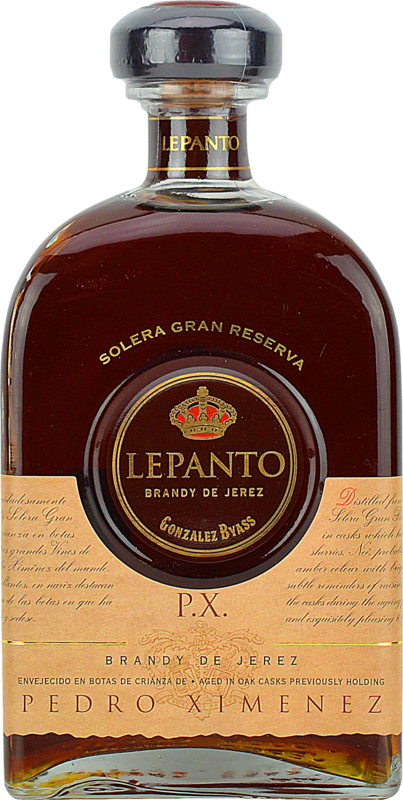 Professionally laser engraved with your own special message etched onto the Glass to create a unique Brandy gift. We supply the finest quality laser bottle engraving, created by hand in London. Write something extra personal. Contact our friendly team for a bespoke request. Choose your day of delivery along with a hand written gift message and gift wrap. You must be over 18 to purchase alcohol. You may be asked to confirm your age at multiple stages including delivery. For more information see our Terms & Conditions. Enjoy responsibly.